Picky eating may be more serious than you think. Of course, some kids grow out of their picky ways; but others don’t. And as some of you have no doubt discovered, when severely picky eaters become adults, it can be a real source of contention in relationships. Adults who are extremely selective about food and drink can end up restricting the diets of those who live with them (who wants to cook two separate meals?). They can also end up curtailing social activities with significant others, since many restaurants or dinner parties may not serve a type of food they like. 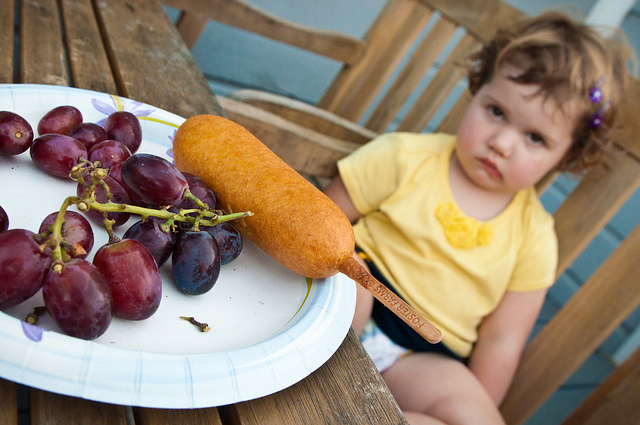 Picky eaters are typically hurt when those whom they love complain about their selective diets. But the latter probably have good reason to be upset. After all, traditionally, picking eating was considered a form of gluttony. We usually associate gluttony with overeating, but that’s only one form the vice takes. The broader definition of gluttony is an inordinate desire related to food or drink. That can include overconsumption, but it can also include overselectivity regarding the type or quality of food and drink. If picky eating is indeed a form of gluttony, then it’s not merely a particular character trait to be endured, but a vice to be overcome through struggle and effort.